Educated native Spanish speakers who teach you their language the way it's really spoken! 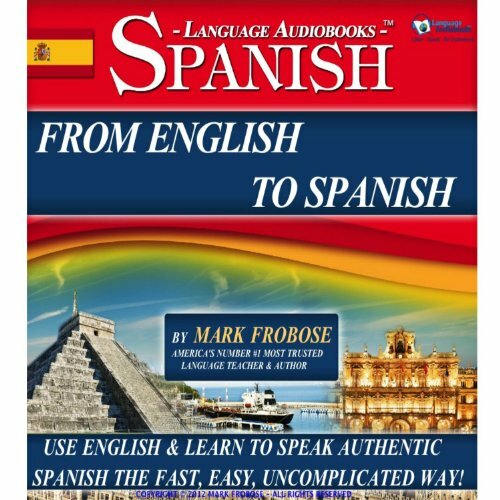 Would you listen to From English to Spanish - 3 Hours of Audio Language Instruction (English and Spanish Edition) again? Why? It's to your benefit to listen to it again - and again - and again. This is a very good course for someone who is just beginning a study of Spanish. It is also very useful for someone that has had some classroom experience but who never had much practice speaking it. It would also be great as a good brush up for people that have not used their Spanish for a while. All the words and sentences on the audio recording are said clearly. You never have a problem hearing how the Spanish words are pronounced. The Spanish speakers say them at what the narrator calls ‘practice’ speed. The same words are then said at what the narrator calls ‘native’ speed. Saying sentences both ways really makes it easy to learn. There are good tips on accent and pronunciation. And they teach about using nouns and verbs together to form simple but whole sentences. I noted about four different authentic Spanish speakers so you get some variety with the different voices. Like I said it’s good practice for beginning learners and even for people at a intermediate level. I love all of these audio books by Mark Frobose. One thing I really want, is a higher level of vocabulary, though. Please, either point me in the right direction of a higher level audiobook, or create higher levels! !